It may not be quite as exotic as Monte Carlo or St Tropez, but Queensland's luxury locations made famous by celebrities like Taylor Swift and Oprah Winfrey are seeing Aussie 'staycations' on the rise. Even if don't consider yourself a high roller, you can still enjoy luxury experiences, lavish resorts and private islands without venturing too far from home. As the Australia dollar goes down, local tourism is going up and that's good news for Aussie travellers as stiff competition means better deals in the staycation market. The number of domestic travellers has jumped by almost 12 per cent in the last 12 months compared to only a 5 per cent growth in international travel. Recognising the power of the increasing domestic market, Hamilton Island accommodation providers like qualia and nearby Lizard Island are boosting their reputations among the domestic market, reminding travellers that a visit to their fair shores doesn't come with the same expense, hassle or logistical challenges that overseas travel entails. In response to this popularity, major airlines such as Virgin and Qantas have increased their flight capacity, meaning a staycation to Hamilton Island has never been easier. Less than two hours by plane from Brisbane, Hamilton Island is also an easy option for weekends away and holidaymakers who are short on time but in desperate need of a break. A bit of star power has also helped in putting Hamilton Island on the map, with celebrities like Prince William, Kate Hudson, Gordon Ramsay and Leonardo DiCaprio making appearances and having a huge impact on tourism numbers. 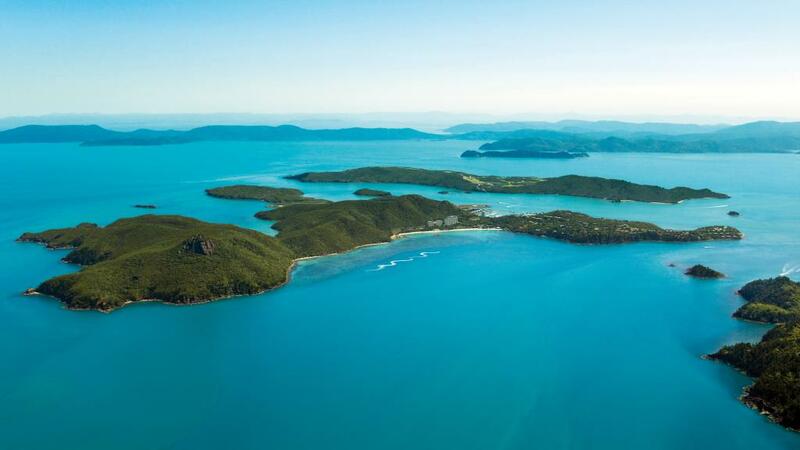 Perhaps one of Australia's most well-travelled women, Aussie TV personality and travel presenter Catriona Rowntree has ranked Hamilton Island as number 5 on her top 10 must-see destinations from around the world. Having visited more than 80 countries, this is big props from the Getaway star. "It's my children's favourite holiday destination and I've been going there for 20 years so I've seen how the island has evolved and blossomed into something that every Aussie should be very proud of. For me there is nothing more spectacular than the view flying right onto Hamilton Island. That flight is just a gift and something every Australian should experience" she said.